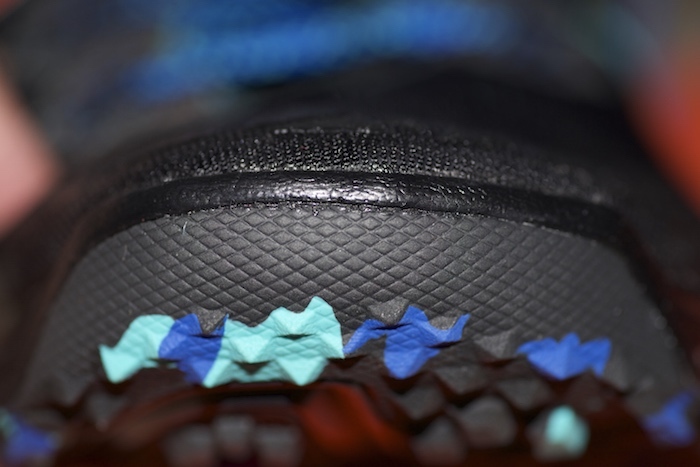 Amazing design with baby-blue Swoosh on black. We had a little road trip up to the Surat Thani Central Plaza this afternoon. I wasn’t expecting anything amazing, but I was in the market for another pair of trail running shoes. I figured I’d need to order them online or at EBay. Where we live in Southern Thailand there is no decent store for running shoes of any sort. It’s a 2.5-hour drive to Phuket, or a 2-hour drive to Surat. Surat rarely has anything at all, BUT, one time they blew my mind by having the orange New Balance Minimus V2. So, there is always the slightest chance they’d have something. We pulled up to the mall, packed for “Children’s Day” and looked at the smelly meerkats meercats? for a few minutes. We entered the mall and I went my way, and mom, baby girl and grandma went the other. I was heading straight for the sports store. Once there I almost fell over when I saw the ZOOM TERRA KIGER that didn’t look like the first one I saw there a month ago. AND it was a different color. I tried on version 1 and the toe-box was much too tight for my wide feet. I wasn’t too excited yet, but wait. Was this the new version already? IT WAS! Version 2 was on the shelves in a couple new colors. I picked the darkest one and the greys and asked for the USA 11. They had it in the dark one. I tried it on, and amazingly – IT FIT! I tried the other on. IT FIT. Then I realized, the sole was stiffer than a week old cobra road kill. I queried it online. It was supposed to be apparently. It got a great review. Then I found another good review. Wow. Ok, how much was it? The sales girl said, “4,900 baht.” WHAT! That’s $166 USD. Then she said I could get $30 off if I had “The One” card. My wife had it. I rang her. Nope she didn’t have it with her. No wait, damn, she didn’t even have her purse with her. WHERE WAS IT? She made an emergency run to the car, then the hotel. She had left her purse in the hotel. It was still there and full of cash. Lucky us man. So I couldn’t get the discount anyway because wifey still didn’t know where her “The One” card was. Bummer. Well, usually the good stuff in Thailand is $30 to $100 more than in the states. 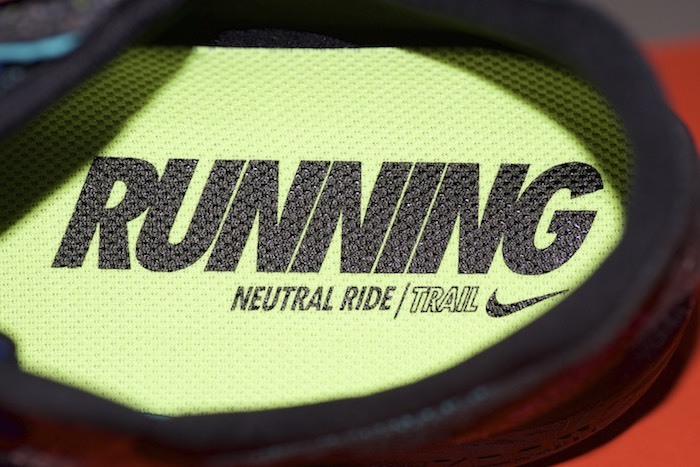 I pulled the trigger after rationalizing that the two Nike running shirts I was buying with the shoes at a steep discount, would give me back the $30 I was overpaying on top of US prices. Then I realized they’re selling for $125 anyway. Plus shipping. I’d pay about the same, or more than $166. Ok, SOLD! I have one on my foot right now. We’re in the hotel. It’s nearly 10 p.m. There isnt’ a trail in sight, but I’m still psyched to have found these shoes, and that they fit my big toe box. They’re a bit snug, but they have a real nice smooth liner so I need not even wear socks with them if I don’t want. That’s perfect. I’ll wear them sockless until I stretch them a bit then start wearing socks to tighten them up again. Review coming shortly. Well, as soon as my fracture heals up. I twisted my ankle and the tendon ripped a small piece of bone off. I think it might be like 6 weeks of very little anything, to heal it up. Well, I’ll wear the Terra Kigers around the house, they’ll support my foot a lot so my toes don’t bend when I walk. I highly recommend you try the Nike Zoom Terra Kiger V2’s if you see them in the store. They feel great. 5mm drop. Wicked rubber grips. 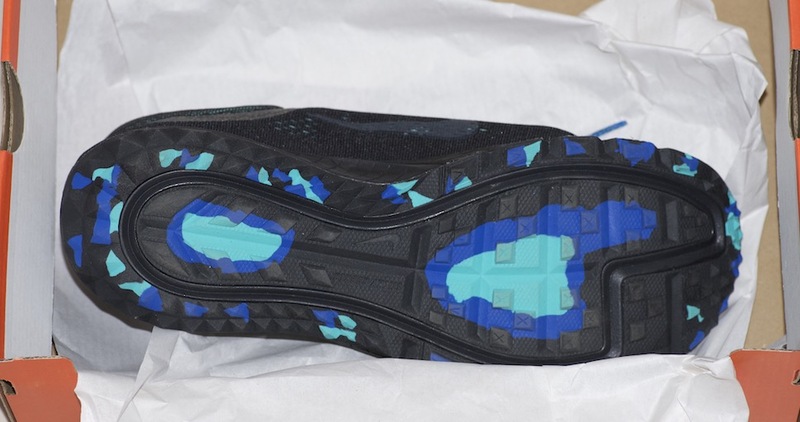 Wide forefoot (toebox) and they feel quite stable. They have all sorts of colors and the size 11 US fits me as most 11’s do. Give me a few days for the full review – minus running, because I’m just not going to be able to do more than a slow jog. 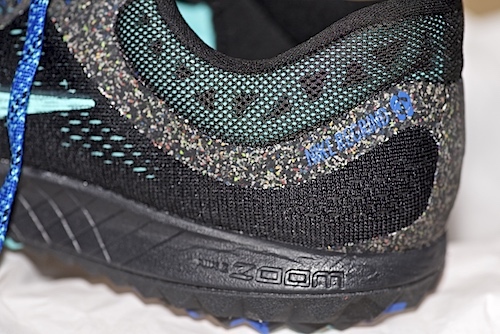 See the FULL Nike Zoom Terra Kiger V2 Review here. Still using these shoes – but have only climbed the stairs in them a bunch and walked and light jogged. I wish I could go fast in them, they’re light enough and probably good at speed too. Anybody else have these shoes yet? What do you think? Previous Previous post: What Are You Willing to Give Up to Get the Life You Want?